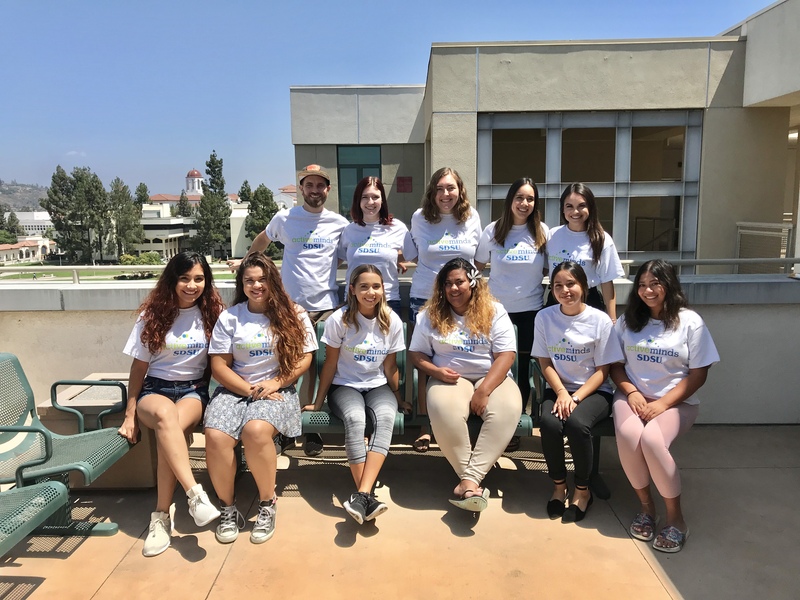 The Peer Education program offers students the opportunity to gain first-hand experience working in the mental health field with an emphasis on valuing and respecting diversity among individuals. The primary focus of their work is on outreach and educational activities that will provide programmatic support for our center. Peer Educators are also given training in general counseling skills and ethical issues that are used in their interactions with student groups. Their work will be supervised by our professional staff. Students earn three units of Psychology 491 credit for each semester. Some of the requirements are as follows. Peer Educator orientation and training is generally held the week before fall semester classes begin (e.g., generally the third week in August). Although we greatly value a commitment to one’s own personal growth, it can sometimes be problematic for a student if they have been seen as a client prior to becoming a Peer Educator. Working in the same environment with a previous counselor may prove to be awkward, and this possibility should be thoroughly considered by the applicant. As a Peer Educator, you would not be eligible to receive services at the center for the very same reasons. If these situations might apply to you as a former client or as someone who thinks they may need to utilize our services in the future, please seriously consider this information. The Peer Education Program is one full academic year. Many students look toward the Peer Education program for exposure to the profession of counseling. They are typically interested in discovering more about the skills needed to work in the mental health field. Furthermore, they have questions about the various paths one might take to become a professional counselor. Toward this end, peer educators receive training in basic counseling skills and exposure to the field through their integration into C&PS. They learn about such things as listening skills, facilitating groups discussions, and the principles underlying behavior change. Although Peer Educators are not able to "see clients," they use their developing counseling skills in their outreach and prevention efforts and typically find that their skills improve throughout the year. The year spent as a Peer Educator often serves as a hands on introduction to the helping professions and the skills needed for one’s future careers. Peer Educators also learn ways to promote awareness and develop curriculum regarding mental health in the college population. We are now accepting applications to be a peer educator for the 2019-2020 academic year. All application materials, including the application form, a current CV or resume, and the letters of recommendation should be emailed to CPSpeers@sdsu.edu. Please have your materials submitted by March 4, 2019. Extensions to the deadline may be granted if needed. Please contact the above email to request an extension or ask any questions about the program. We look forward to hearing from you soon!